70 mile ride, mainly offroad, 2364 metres of climb. 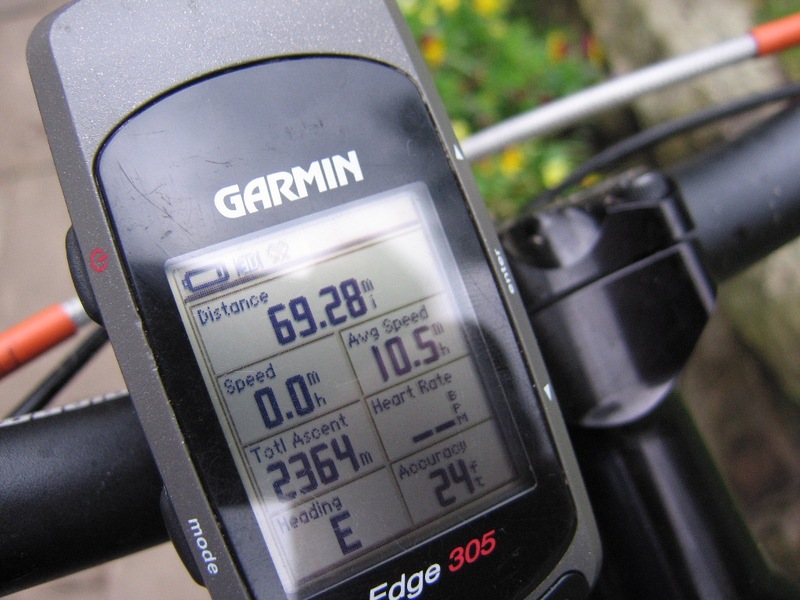 A very ponderous-feeling average of 10.5 mph. Big training ride yesterday – rode from the house over to Rochdale then followed the Pennine Bridleway south for several hours. It was hot, very hot. Much the same as the Fred Whitton, I was struggling with it. Around early afternoon I was finding it pretty unbearable. I had to stop in the woods next to the campsite at Hayfield for half an hour just to cool down, then I thought I was going to die on the climb up Mount Famine. When the sun was obscured by clouds later in the afternoon I felt good again! Blimey – that’s an Epic. I used to work for Natural England and rode out to Hadfield on the MTB a few years back to ‘test’ the route markings for the Pennine Bridleway (ie, see if you could ride it just following waymarks). Best ‘working’ day I’ve ever had, but after that much off road then a hilly slog back over from Littleborough I was utterly cooked. Great route though, innit. it is a great ride, helped by the fact that a map isn’t really needed.